Can an atheist be saved? The New York Times best-selling author of Crank and Tricks explores the highly charged landscapes of faith and forgiveness with brilliant sensitivity and emotional resonance. "There is no God, no benevolent ruler of the earth, no omnipotent grand poobah of countless universes. Because if there was... my little brother would still be fishing or playing basketball instead of fertilizing cemetery vegetation." Matthew Turner doesn't have faith in anything. Not in family - his is a shambles after his younger brother was bullied into suicide. Not in so-called friends who turn their backs when things get tough. Not in some all-powerful creator who lets too much bad stuff happen. And certainly not in some "It Gets Better" psychobabble. No matter what his girlfriend Hayden says about faith and forgiveness, there's no way Matt's letting go of blame. He's decided to "live large and go out with a huge bang," and whatever happens happens. But when a horrific event plunges Matt into a dark, silent place, he hears a rumble... a rumble that wakes him up, calling everything he's ever disbelieved into question. ©2014 Ellen Hopkins. All rights reserved. (P)2014 Simon & Schuster, Inc. All rights reserved. 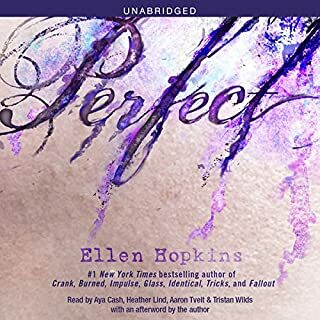 Ellen Hopkins is one of my favorite authors, so my opinion may be a bit biased. This is a wonderfully classic story about life, love, and loss told in an alternative way. I love the that the main character struggles with mental stability and find it very relatable. The reading of story highly exceeded my expectations, featuring several characters with different tones to help distinguish them, without the usual multi-character perspective done by Hopkins, which would call for multiple actors. All in all, I highly suggest this thrilling tale for your next read/listen! i hated the narrator lol he was very dull almost quit listening in the beginning. dont waste your credit on this one. it took all i had to get through it. i thought it might get better but it didnt. if you want a good read get crank an glass. Another win from Ellen Hopkins! I can't get enough. Took me a few chapters to get roped in, but couldn't stop listening once I did. 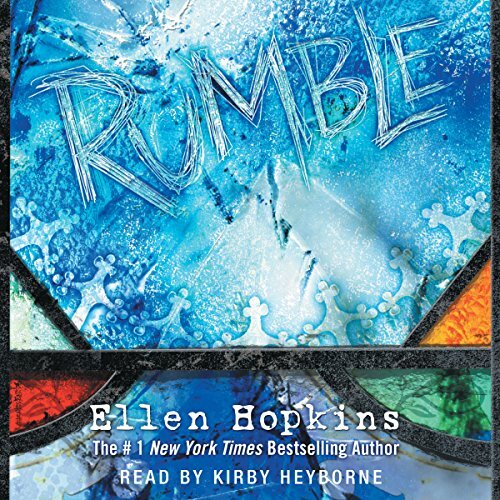 another great book by Ellen hopkins I couldn't stop listening to this book at work! Ellen Hopkins is the first author I have ever had the pleasure of discovering. 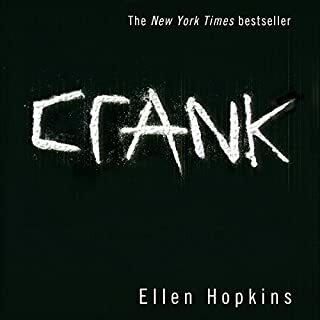 I found her book, crank, a long time ago. Back when it was her only book. It was the first time I read a book cover to cover in one day. I couldn't get enough. Years later, I discovered she wrote a few more. Glass (the sequel) and Burned. I of course bought both. Then Impulse. 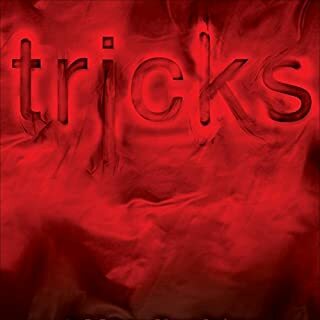 Tricks. Identical. Each and every time I am sucked in, unable to do anything but read her books. I am refreshed that someone can have so much insight on life and what really happens in the world. Ellen Hopkins has a gift. She was born to write these novels. And after 3 years of not reading a book, I listened to this novel. I was immediately sucked in. The only thing I didn't like was the reader on this book. He is very hard to listen to. His tone is quite weird and isn't what i picture for her novels. But perhaps that is just my own perception. Even so, i was up. I was down. I was speaking back to the characters. I was completely wrapped up in this story. Anytime I could listen, I was listening. I highly recommend this book, and other books written by this author, to anyone. I would of course tell those with very sensitive triggers to read the basic plot of each of her stories to make sure they don't inadvertently hear a story they can't emotionally handle. Ellen does not hold back. Prepare yourself to become these characters. Prepare for a reading experience you have never had before. It changes your life and perspective. I give it a 10 star out of 5. 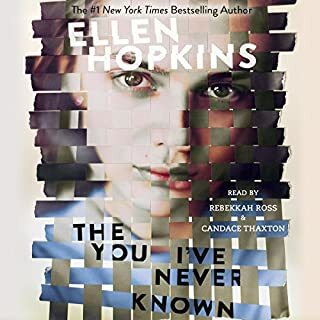 There is not one book written by Ellen Hopkins that isn't inspiring and breath taking. Absolutely great!! The narrator's voice can be sing-songy at times. Great read overall! Had a great twist and a point of view we don't hear often. Great book just wanted more for the ending! 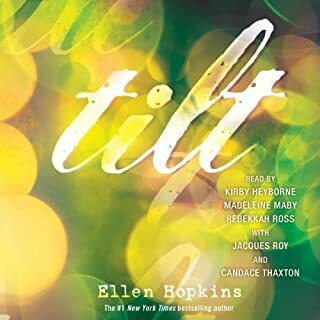 I still love Ellen Hopkins and will listen to every one of her books!